Control towers are an important way for enterprises to gain end-to-end visibility over their supply chains. They are often a first step on the journey to modernize and digitize supply chains by providing the connective tissue to link planning and execution. 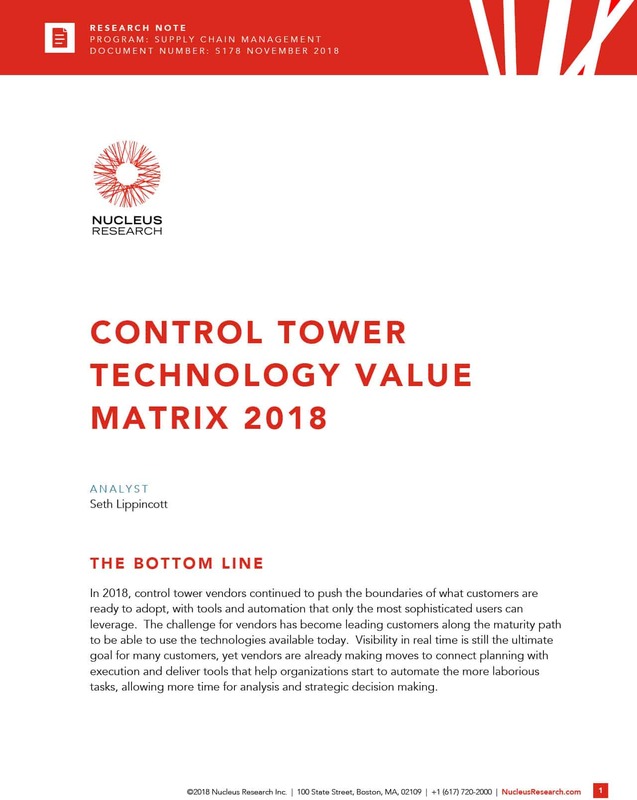 Nucleus Research examined all vendor solutions in the Control Tower market landscape with respect to the depth of functionality and ease of use. 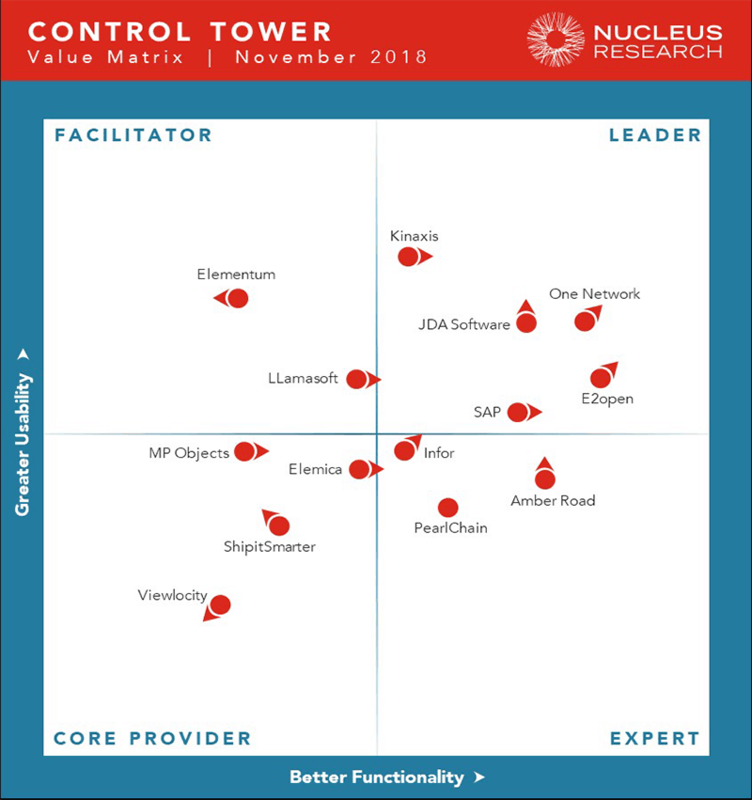 E2open is placed in the Leaders Quadrant and ranked as the vendor with the highest functionality.